You are here: Home > Are Moving Blankets Machine Washable? We’re often asked if our moving blankets can be washed in a washing machine. 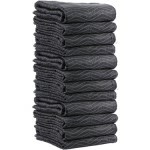 Our “Best” category includes three machine-washable moving blankets. 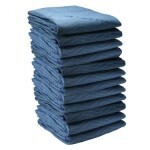 Their heavy-weight construction with woven polyester binding on all four sides allows them to be washed and re-used repeatedly. Keep in mind, even though these blankets are classified as washable, we do not recommend drying them. Hang dry is the route to go if you want to extend the life of the blanket. 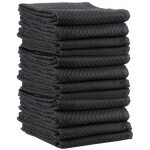 While moving blankets in our “Best”category are some of our top sellers, we also offer seven additional types of blankets which are great for moving, as well as a variety of other uses. Check out this article for some great ideas: Moving Blankets- Not Just for Moving Anymore. Even though we don’t recommend machine-washing our group of “Better” moving blankets, they can be spot cleaned and are durable enough to be used over and over again. Our group of “Good” moving blankets are designed for limited usage, but still provide excellent protection. Lightweight skins are comprised only of non-quilted, recycle cotton fabric filler. Because they are thinner, they are also sold in larger pack quantities: 24-Pack and 6-Pack.